The Heritage collection features bags that are classic, traditional and functional, in rich top quality Vaquetta leather. 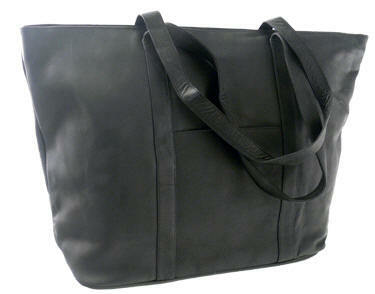 On the outside of this bag features a zippered top opening and a front zippered pocket. The inside is fully lined and has 6 pockets. 1 zippered, one for a cell phone and four mesh pockets. You'll also find a detachable zippered pouch.